Nice nice nice.. I have to do that sort of migration in a few days. 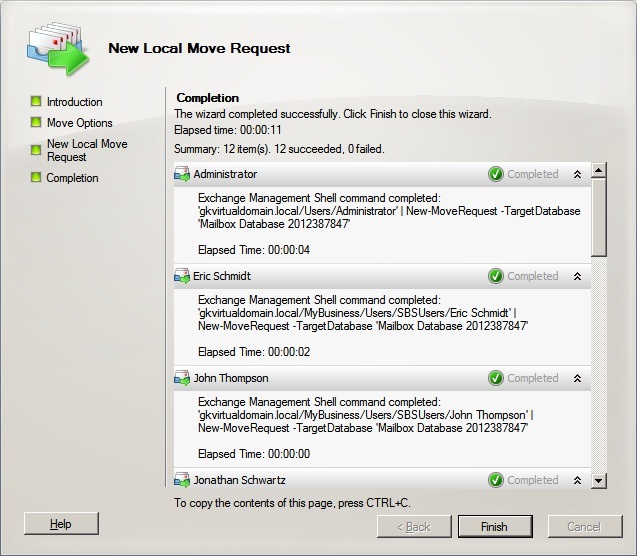 But, as strange as it is, i though it was not possible to migrate the exchange datas as the SBS would not accept another Exchange Server in the organisation. I was wondering. 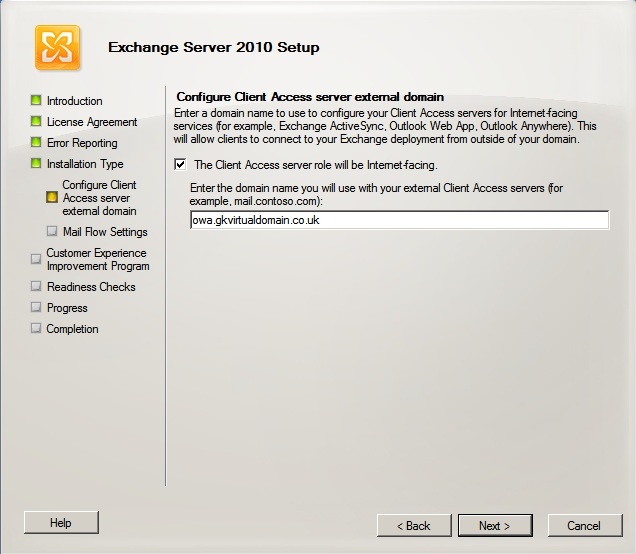 After the changing the router/firewall to point exchange internet facing services from the SBS 2003 to Exchange 2010 will Outlook Anywhere clients still be able to connect to their mailboxes on the SBS 2003 server? 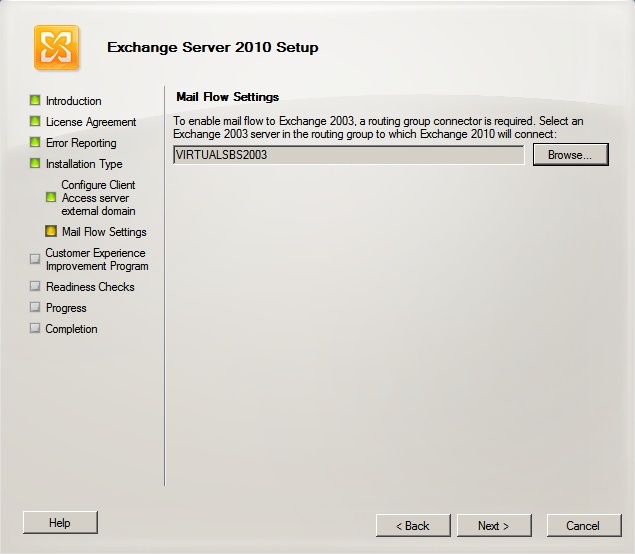 Also, after moving them mailboxes from SBS 2003 to Exchange 2010 will Outlook Anywhere client profiles automatically be updated to use the new Exchange 2010 server? You will need to have the SBS2003 and Exchange 2010 server available via different URL’s if the transition is going to be a lengthy one. To be honest I am not sure about the Outlook anywhere updating itself as I have never personally done it. However, I will try and test it for you and see what I can come up with. My instinct is telling me it probably won’t. Thanks, it would be great to hear your findings. We are planning to do the migration over a week and most users are remote using Outlook Anywhere. Hi Dematzer. Your work is valued in the exchange community. Excellent article. 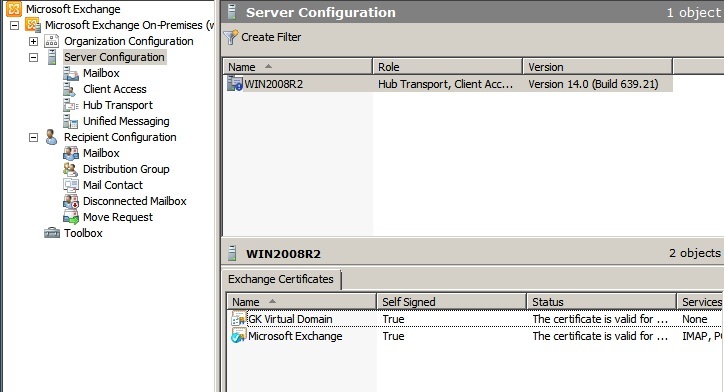 Quick question that may be slightly off topic am i correct in assuming SBS 2003 with Exchange 2003 can co-exist with an Exchange 2010 deployment with SBS 2003 as the FSW? I cant see any reason why this would not work as Exchange 2010 and Exchange 2003 can coexist in the same org quite happily. Thoughts? 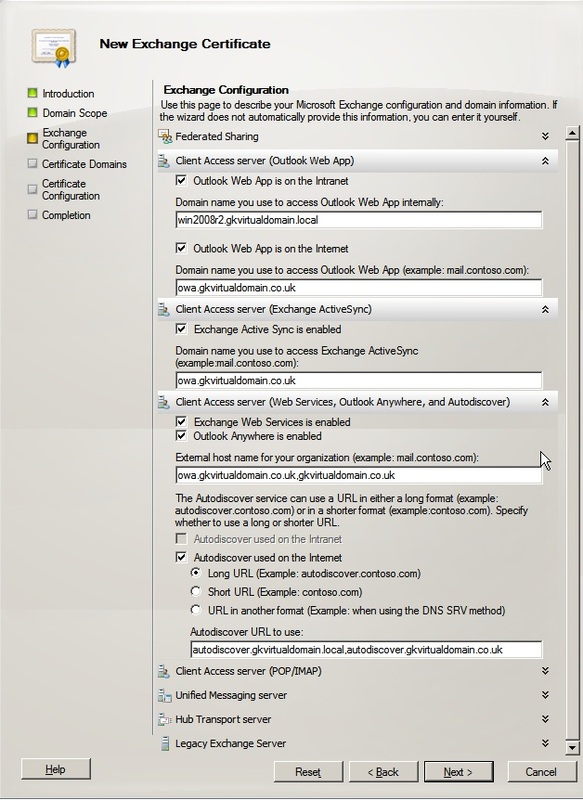 Are you talking about setting up a DAG with Exchange 2010 and using the SBS2003 server as the file share witness server? If so then “technically” there is no reason why it shouldn’t work. Although I have to say I have never tried it. What about remote “RPC over https” outlook clients? Will they update server name automaticaly too and use the same ost file? and another question Will they connect properly using old profile throught new OWA. Not much info on that on the net. I’ve also read that outlook clients using cached mode might not update all info properly and there will be a need to use Exchange profile redirector tool. Nice and clear step by step description on how and what. will there be a huge difference when upgrading to SBS 2008 with standard outlook? Thanks for the great article. I am planning to do this exact migration but I have one other piece to add to the mix. 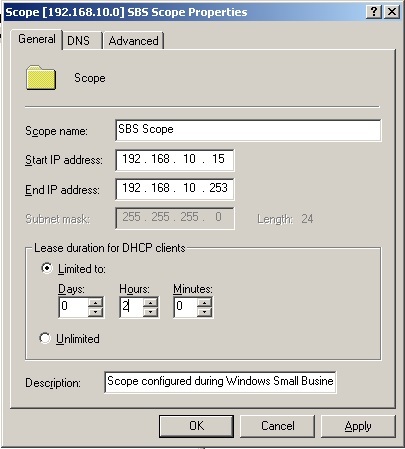 I currently have a second 2003 domain controller in the SBS network which was put in to place in a second site location just to have AD/DNS/DHCP at that physical site. They are connected by site-to-site VPN. I would think this shouldn’t really change this migration much. Can anyone think of any problems this might add to this migration? 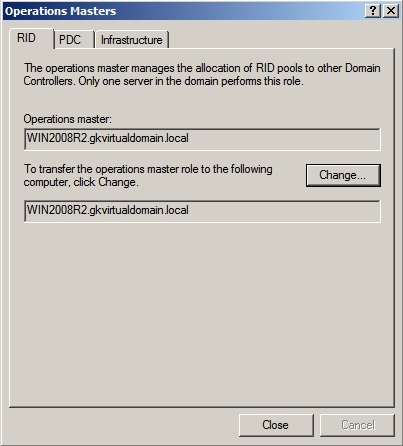 I can’t remember if the domain prep for 2008R2 has to be run on each DC seperately or not, but I will look into that. Thanks for the great article, I will be running this migration for one of my clients on the coming weekend. 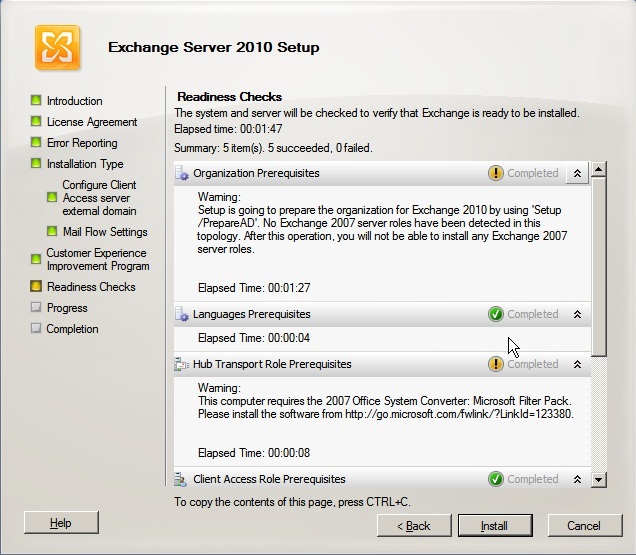 I was just curious to ask, if i can switch off the SBS server after the exchange 2003 uninstall and seize the roles instead of transferring it and will this impact the exchange 2010 in any way (will perform metadata cleanup on AD though) ? Please let me know if you faced any difficulty uninstalling the exchange from the SBS, my understanding was that SBS does not allow to transfer the exchange component to any other server while the SBS is running and hence i tried by removing the SBS off the network and mending the exchange 2010 on the 2008 server. Though i was able to set the AD after that but exchange was completely broken off and with all the registry and adsi changes i can make i was not able to get it up- I tried all this in test environment ! As long as you follow the guide step by step you should find the migration runs very smoothly, there should be no reason not to transfer the roles gracefully and as long as you follow the guide there should be no reason why Exchange will not uninstall from the 2003 server. if it doesn’t it’s normally relatively straight forward to resolve so post back if you experience problems. I used this Guide to migrate from SBS 2003 (without Exchange) to Server 2008 R2. Apart from trouble with the WINLOGON and SYSVOL replication issues that I got over separately, it went on very smoothly. 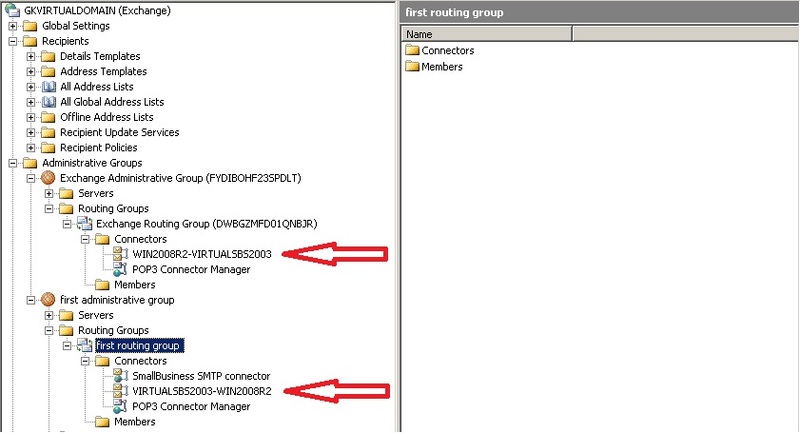 I just finish migration from SBS 2003 to WIN 2008R2 and Exchange 2010 SP1 as specified in you blog. Had some minor Issues not specified in you blog but they have been resolvd with “google’s” help. 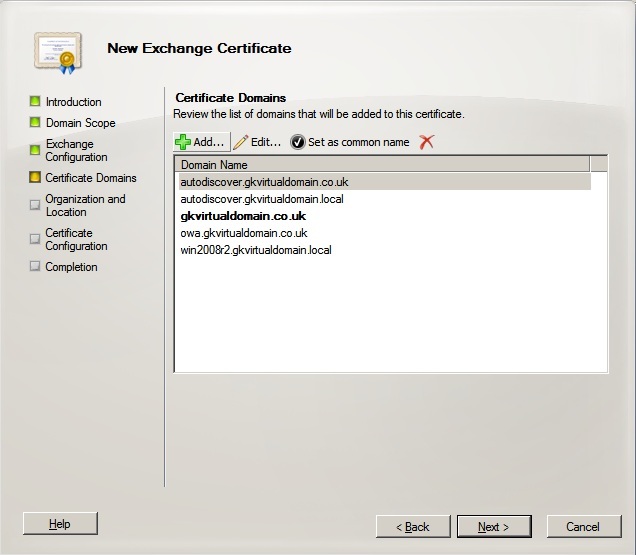 Remains one Big Problem – Exchange does not sea the domain controler and global catalog of the server on which is it installed, because of that I hat to dcpromo SBS 2003 back to additional domain controler and global catalog otherwise the excange would hang. How can I “persuade” the exchange to see the DC on which is installed??? This is a FANTASTIC article! I am actually doing this exact migration right now and this guide is a lifesaver!! Just a phenomenal guide. I am with a company that has had explosive growth in the past year and the restrictions of SBS just won’t cut it anymore. We have a SBS08 server and we are moving to a WS08R2 enterprise Box. It seems most of the help in this guide should loosely apply the same way in my scenario(SBS08->WS08R2). Any caveats that I might stumble upon? Your article is really clear and usefull. You done well. The only thing that I am stuck now is moving the public folder. I followed the instruction but because I have a huge public folder (49gb) with a lot of sub folders I am not too sure whether it is still migrating it or it is doing nothing. How do I check the progress of the movement? Thank you. Hi Demazter! Thank you for a great article, really appreciate your work. I have one small problem that I have experienced with the migration, which I hope you can help me with. First some background info – Prior to starting the migration, I had an SBS2003 server, 2x Server2008 Terminal Servers, 2x Server2008 member servers, a mixture of client PCs XP/Vista/W7. All machines could access sharepoint, including all users on both terminal servers. 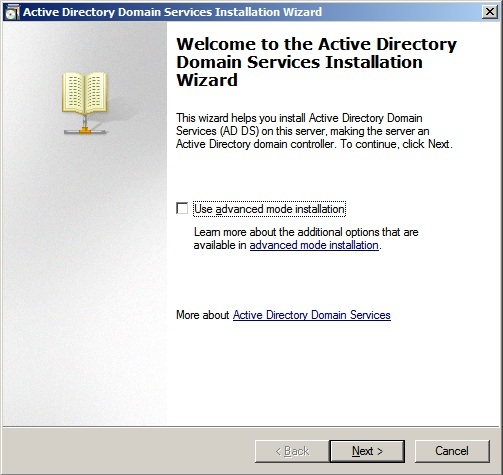 During the migration, I deployed a new Server2008R2 box, to which I have migrated the AD and exchange roles from the old SBS2003 box. Sharepoint has been migrated to one of the existing W2008 terminal server machines. After completing the sharepoint migration, all of the users on the terminal server that is now hosting sharepoint, cannot access the sharepoint site. All other users (on the PCs AND the other terminal server) can access sharepoint ok. It appears to be an issue ONLY with the terminal server on which I have installed sharepoint, and only affects users on that terminal server. Do you have any suggestions as to where I have gone wrong to cause this issue? Thanks for taking the time to create this post. It was a great guide for me and covered a majority of the issues. There will always be a few unique situations along the way but that is where that thing between the ears comes into play! Great post and thanks again!! 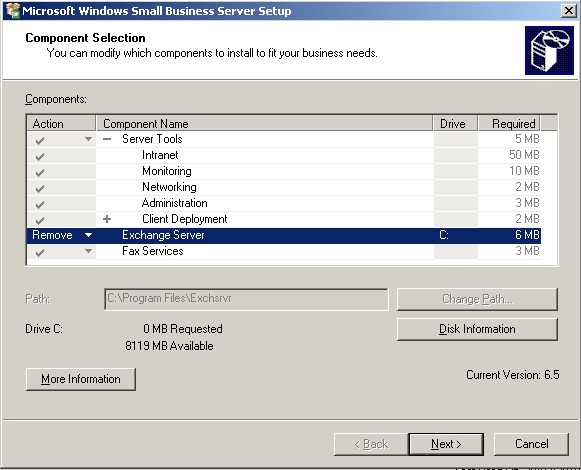 I plan also to migrate Small Business Server 2003 to Exchange 2010 and Windows 2008 R2. I have run the above in a LAB twice, the second try it was form SBS 2003 DE to Windows 2008 R2 EN. No errors during the migration. Thank you for your article simply great. However I met one problem during the uninstallation of Exchange 2003. Some attributes “msExchHomeServerName” was still configure on one accout. Can you also give me one precision about the Global Catalog. Did you removed the SBS2003 as GC before transferring the roles ? I followed the sharepoint migration to the letter, I think, and now I’m getting a “value does not fall within expected range” error when submitting the create new application form in WSS 3.0. No details, nothing, just that message…not stating what value, etc. Any ideas? I saw one other person had posted this on your same writeup on ExpertsExchange but I didn’t see any solutions. Many thanks! 1- I have SBS 2003 (32 bit) and I am planning to install Win 2k8 Server enterprise edition- Can it possible to transfer\migrate entire AD (user accounts…etc) from SBS 2003 32bit DC to 2k8 Server 64 bit? what do you suggest me to use or do? 2- I heard that we can not join any additional domain controller with SBS server, isn’t it right? Glad you like the guide. The fact that SBS2003 is 32 bit is irrelevant, AD is AD regardless of what type of server it is. As long as the schema etc is updated correctly there is no reason it will not work the way it is explained in my guide. You can add as many domain controllers as you like to an SBS domain, there is no limitation in this respect. Thanks for your prompt reply. I am sorry if I don’t understand this process better but I am wondering is there any step that is not included on your this post- e.g.- Moving\migrating AD to new Win 2k8 Server. Means if I have to move all my users to the new server (AD) then do I have to perform any specific action for that or adding the server to the server will automatically transfer the users to the new server? Once you join the new server to the domain and make it a domain controller it will have a copy of all the users/groups/computers. If you follow the steps in the guide it talks you through this. This application has failed to start because MMFMIG32 was not found. Re-installing this application may fix the problem. I know I don’t need to go to this option to migrate the exchange server (per your article) but just wanna make sure that this will not turn out a hassle on exchange migration later? can you please let me know your approach on this? 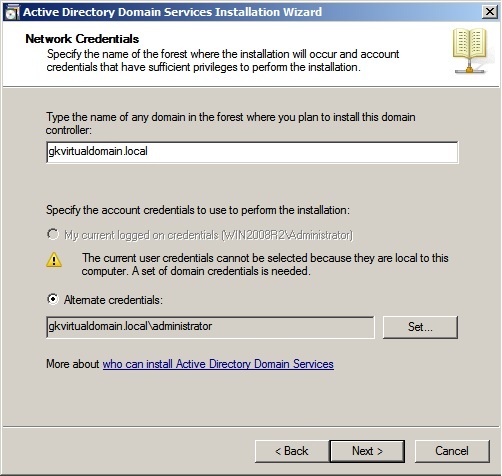 I’m nearing the end of a SBS2003 to Windows 2003 migration but after I transfer the roles, GC, and everything else as noted in your article, I get the DCPROMO error on SBS that no other domain controllers can be located. When the SBS2003 box is offline most network and AD operations fail. I also don’t see the SYSVOL or NETLOGON shares on the new DC. 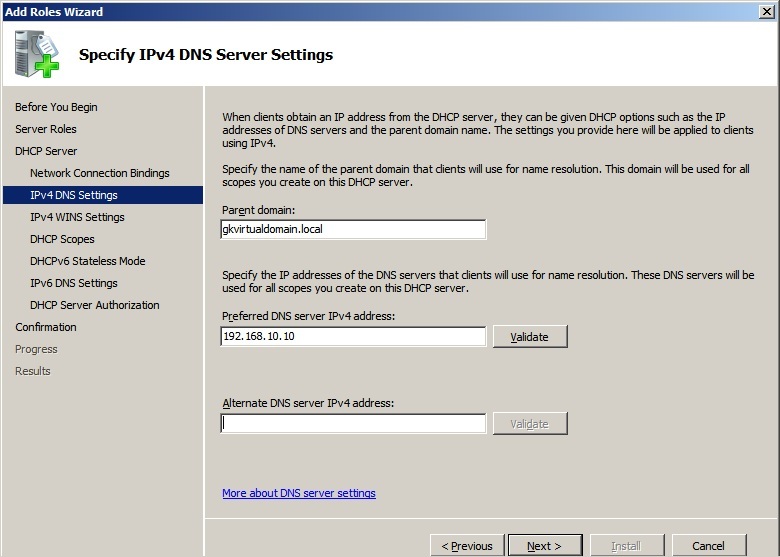 Are both servers configured to use only the new servers IP address for DNS? They should only have a single entry and it should be the new server. Send me your email address and I will send you a remote assistance invitation. Sorry, if you want me to look at your server it is a chargeable event. I am happy to do this for you, I will however require 1 hour payment in advance via PayPal. I will then provide you with details of the remote access tools I use. I’m am going to be doing basically the same migration over the next few weeks with one exception. We will not be putting the Exchange 2010 server in right away, just the Windows 2008 domain controller. I read in this article (http://support.microsoft.com/default.aspx?scid=kb;EN-US;943494) that SBS 2003 will only support two DCs for up to 7 days or 21 with the download mentioned on that link. I’ve seen other articles that state the 7 days only applies after you transfer all FSMO roles from the SBS server. Do you have any knowleged of this? The article says SBS Domain Controllers. You can have as many non SBS Domain Controllers as you like there is no limitation. The limitation is when there is more than 1 SBS server because SBS must hold all the FSMO roles. This application has failed to start because MMFMIG32 was not found. Re-installing this application may fix the problem. Can this error give pain while migration? I know I do not have to access migration wizard to migrate but still…? 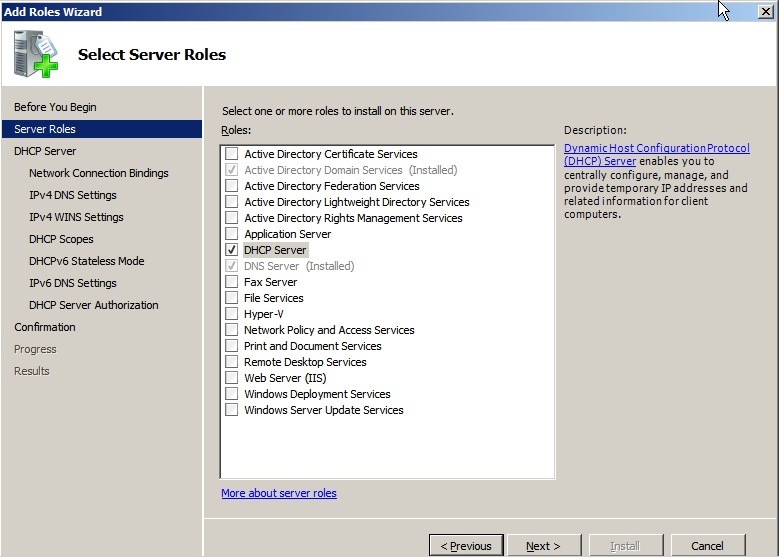 Also I have to migrate entire SBS 2003 to Server 2008 enterprise edition including all users copied and exchange inboxes as well, I will need to keep separate server name for server 2008 and IP address may be the same? Can name change of the server will be okay? 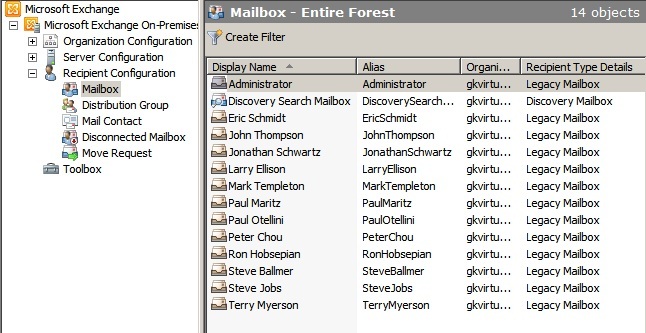 The clients will update themselves based on the name you enter when enabling Outlook Anywhere on your CAS server. We can change the name of the server new server but IP would like to keep same. Will that impact anything please let me know. Afraid not. 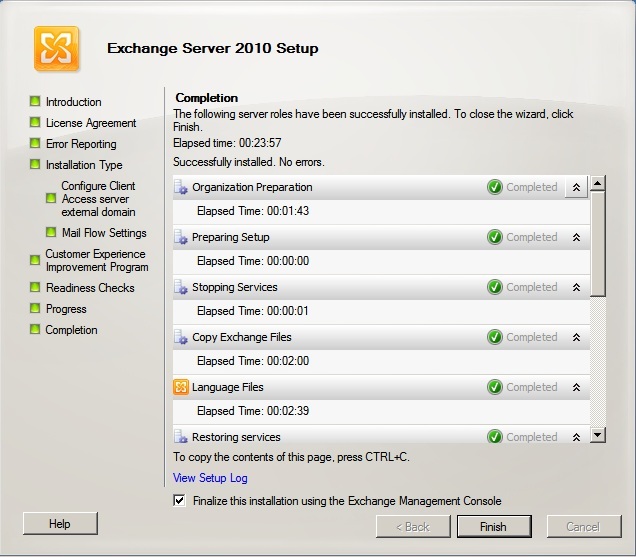 You cannot rename a server with Exchange installed. Is it doable? Please let me know I am really confused. Yes, that is fine. The servers have different names. As long as you don’t change the names after Exchange is installed it will be fine. If you are struggling with the migration I do offer migration services to assist you. But Once Exchange is installed and we have demoted the SBS server, can we give SBS’ IP (i.e.- 10.200.44.111) to New 2008 Server? Please let me know. I will contact you for migration server when needed. 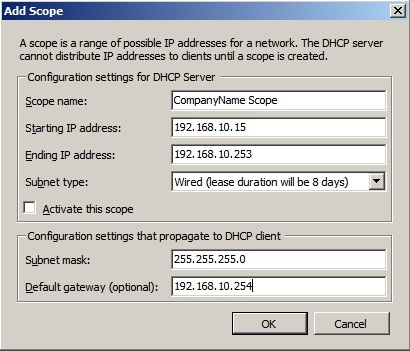 Yes, you can change the IP address just not the name of the server. Once you are ready to change the IP make sure the server is restarted after the change to ensure all services are bound to the new IP. I posted this earlier but can’t see it; so excuse the 2nd post. I’m doing the migration later today but will not be migrating the exchange piece as it was previously moved to a hosting company. 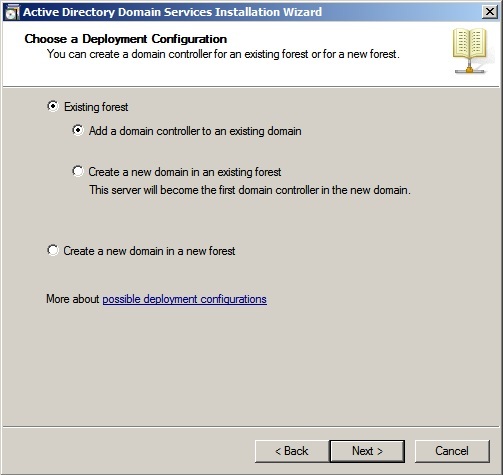 Following the instructions above, is it necessary to uninstall exchange or can i proceed without the uninstall of exchange and demote the sbs dc (after the fsmo roles have been transferred, etc). 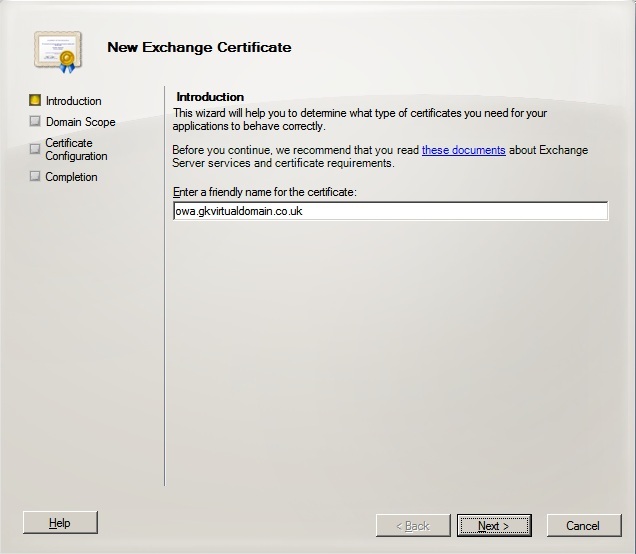 If you do not remove Exchange then you will need to manually remove it from Active Directory. I would recommend a clean uninstall every time. Thanks for your great guide, Demazter. When we do this migration, do we need to do anything with the offline address book on Exchange 2003, such as migrating it manually to Exchange 2010? Thanks! 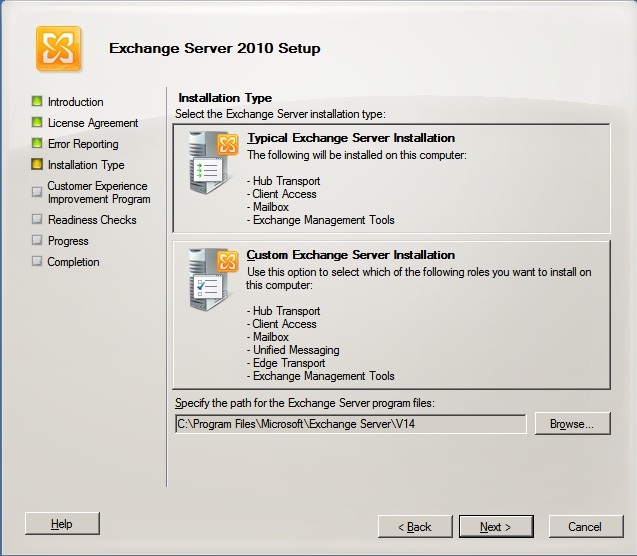 With Exchange 2010 you would create a new Offline Address book and this is done by default installation. Your guide is really life saving, I am migrating same and successfully migrated DC per your instructions. Will installing server and moving mailboxes cause any issue on SBS server, will it completely move the mailbox from the SBS server? – till which step SBS will run fine? SBS will continue to function until you transfer the FSMO roles. Once you do this the server is no longer in a valid state. I just wanna say if you would have not posted this guide here, I would never dare to proceed on server migration. You are the hero. One stupid question: (I have already migrated the DC and planning to migrate the exchange this weekend, on new serer I did not install the exchange server yet as I was scared if I will install the exchange server in Win2k8 server (new) all clients will seek for new server for the mailboxes and it will cause the problem as I can not move mailboxes before this coming weekend..Can you please tell me can I install exchange and client will not automatically seek new server for the exchange mailbox? 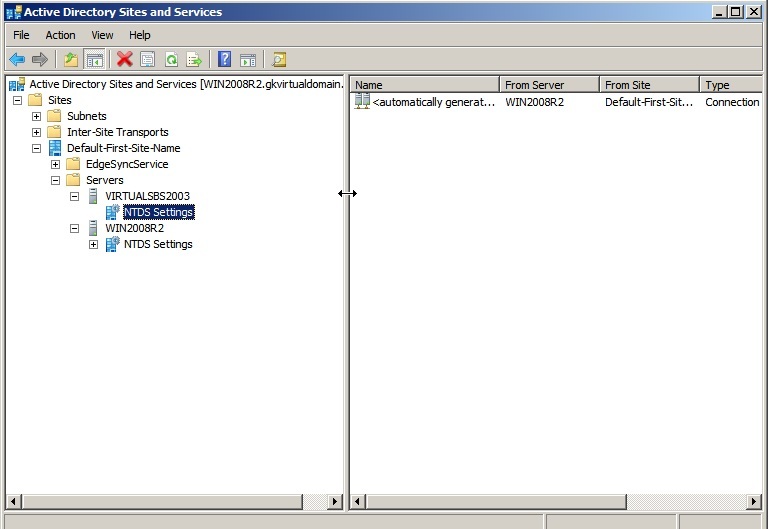 I have found forums where people states that the SBS domain only supports no more than 75 user or device licenses that access the server that is running SBS and even if you add a new Windows Server 2008 domain controller, it will not enable you connect more than 75 users. Even after you have demoted the SBS the 75 user limit still exists in the domain. Do you have any expirance with this? This limitation is removed once you remove the SBS server from the domain. This is one of the main reasons people do this migration to remove the limit. Just perform the exchange parts on another server. Thought as much, thanks alot! Do you still provide chargeable even support. If so I am interested in a couple hours of consulting help. Let me know what I need to do to get started. 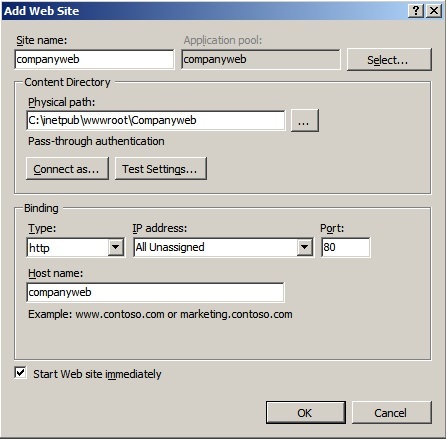 Thanks for the great guide, I cant see my previous post so excuse second post, client is moving from SBS 2003 to 2008 R2 however they do not use sharepoint and the exchange is now hosted by office 365. I have followed your instructions to the letter and migration appears to be successful. customer data has been migrated using robocopy from sbs 2003 to Win 2008 R2 machine, The customer is doing a staged cutover with the final cut one week from today. Next steps are writing new policies for drive and printer mappings and installing all apps (including third party) on new server, removing exchange from 2003, dcpromo server to member and final decommisson. If you plan to keep using the SBS Server then the FSMO roles will need to stay on the SBS server. I can’t remember if it’s a license violation if they are not buy you will experience problems with the server randomly rebooting. Thank You for your excellent guide, we have completed the SBS 2003 to WIndows 2008 R2 migration following your migration. The only problem we encountered was when then attempting to transfer the schema master we were unable to connect to the Windows 2008 R2. We resolved this by going to cmd line and running ntdsutil on the SBS 2003 server, connecting to Windows 2008 R2 Server and transfering the role and were successful. Thanks to your excellent guide, the transfer went so smooth that the post migration support team had very littie issues post migration. The customer was very satifsfied and has asked us to prepare an RFP to perform a migration for another one of their client from WIndows SBS 2003 to SBS 2011. I have alreafy printed your instructions for that migration and will be using them in my test lab. I’m working on a similar migration. The customer had originally decided to keep running exchange on sbs 2003 so I performed all of the AD migration, including transferring all FSMO roles. However, they now wish to switch to Exchange 2010 and scrap the sbs completely. Will the exchange migration still take place as you have outlined? Yes it should do. Although transferring the FSMO roles would have caused the existing SBS to have problems it should not prevent you from completing the migration. Greetings. I am running through this in a lab environment in preparation to running it on a client system, and I am having a problem. I have an SBS 2003 server (V5.2 Build 3790.srv03_sp2_gdr.12053-0334) and Windows 2008 V6.1 Build 7601 SP1). Each server can ping the other by name, IP, and FQDN. Replications are successful. I upgraded the functional levels. I upgraded the schema with the adprep32.exe on the Windows 2008 R2 DVD. The FSMO roles will not transfer. The error is “The current FSMO holder could not be contacted.” I have verified DNS settings (both pointing at the new server – also tried it the other way). I have been searching Google and what I have found would have me believe that SBS 2003 will not allow FSMO roles to be transferred, and MUST be the role holder or the SBCORE service shuts down the server. The “consensus” out there in Google-land seems to be that if you want to transfer FSMO roles away from an SBS 2003 server without using the Source Prep Tool from an SBS 2008 or SBS 2011 DVD, and migrating to another SBS server, then the only option is to shut off the SBS 2003 server without demoting, and then seize the roles and perform metadata cleanup. This was my understanding before I began this undertaking, but your article seems to refute this, and so I was inspired to try it. Some of the commentors seem to be having success with your instructions though. If you would be so kind, please give this a closer look and let me know what detail I might have missed. Thanks! The SBSCore service does not prevent the roles from being transferred. When you run NETDOM QUERY FSMO from both servers what are the 5 roles reporting as? You would normally see this error if there was an issue with DNS. Are both servers using only a single DNS entry on the NIC’s? What results do you get from DCDIAG /test:DNS on both servers? Any errors? I didn’t say that the SBCore service prevents FSMO roles from being transferred. SBCore checks every 60 minutes to see if the SBS server is a DC, and shuts it down if it is not (after the 7-day grace period from when the server is built). I suspect it’s some other function in SBS 2003 prevents FSMO roles from being transferred (unless you have run the Source Server Prep Tool on the SBS 2008 or SBS2011 DVD), and I’m not sure what it is. My hope was that upgrading the schema to Win2008 levels would eliminate it. To answer your questions, “netdom query fsmo” returns “sbs2003.lab.local” as the role holder for all five FSMOs. 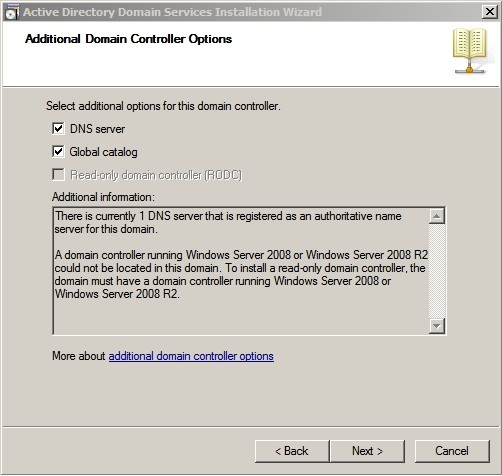 Both servers have only one DNS entry, and it is pointing to the Windows 2008 server, which does have a valid copy of the AD-integrated zones. Dcdiag /test:dns returns a “passed” result on everything. Again, it’s a lab environment, freshly built, and I’ve done many an SBS build and migration. DNS is set up correctly, and the servers are replicating AD information between them just fine. Administration tools have no problem finding and talking to either DC. Update: After running those diagnostic queries, double-checking all of my settings (and changing NOTHING), I tried the FSMO roles again and it worked this time. I don’t know what to say about that. Maybe I didn’t wait long enough after promoting the 2008 machine, but repadmin /showreps was showing successful replications on both sides, so I figured I was good to go. Apparently not. So, with my FSMO roles transferred, I’m going to go ahead and demote my SBS2003 server, and see whether SBCore gets pissed after 7 days. So, uh, never mind. Feel free to delete my comments. As I said, there is nothing within SBS that prevents the FSMO roles from being transferred. It’s normally down to a configuration error or configuration replication delay. After migration, users/computers/security groups are still in the normal SBS MyBusiness > Users/Computers/Security Groups folders in the OU on the 2008 DC. Is it normal/recommended to move all users/computers/security groups to the normal non-sbs folders? The Organisational Units are used by the SBS Wizards and the SBS Group Policies are applied here. If you are happy with the way things are working there is no reason to move them. But, likewise there is no reason not to. If you want to setup your own OU’s and Group Policies then you can do this too. An OU is simply a collection of objects (box) with policies applied to it (packaging). This is a wonderful and thorough migration outline. Thank you so much for publishing it. If it OK with you, I would like to link to it from my LinedIn posting – giving you full credit of course.